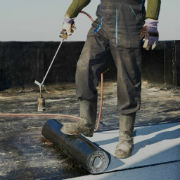 Arvada Roofing & Weatherproofing, Inc. Honest, Reliable, Fast and Friendly Service for more than 40 years! FREE Roof Estimates!! Other companies will say you have hail damage, when you may not. This is done to get your insurance company out to your home and “hope” the adjuster will see hail damage. If not, you have wasted your time, the adjuster’s time and you have already contacted your insurance company to file a claim. Arvada Roofing will be honest and upfront at all times! No pushy door to door salesmen! 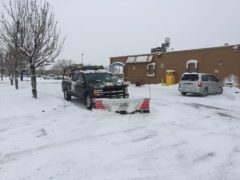 Arvada Roofing doesn’t “Storm Chase”. We are a Colorado company, proudly serving local communities for over 40 years! All costs and repairs are explained upfront before the work begins. We just had our roof, gutters and downspouts replaced by Arvada Roofing and Weatherproofing and they rock! The roof looks great, they replaced the thin, easily dented gutters and downspouts with much sturdier gutters and downspouts and installed gutter screens to keep out the leaves. The roofers were friendly, the job done quickly and all construction debris was totally removed. I highly recommend Arvada Roofing and Weatherproofing. Note: This business is different from Arvada Roofing so don't be misled! I booked Arvada Roofing to complete a job for the company I work for. The job was small, just some gutters installed on our atrium, and many contractors had no interest in even providing a quote. 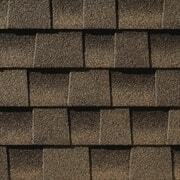 Arvada Roofing was EXCELLENT from when they came to give us an estimate, to when the project was complete. The two gentlemen who installed the gutters were extremely polite and professional and their work is flawless. A huge thank you. Really enjoyed the whole experience with Arvada Roofing. Greg came out at the agreed upon time and did a professional job on the patch job. I can't tell wherever the old fireplace stack was. I would recommend them and have. I got a new roof and gutters from Arvada Roofing last October and they did a wonderful job. My old roof was awful, and after several excellent spot repairs and some great diagnostic work, I caved. They gave me a beautiful roof and gutters, worked around my house painters, and made my house not only waterproof but beautiful. I am glad to support local contractors like Arvada Roofing. Feel free to ask Jackie for my phone number if you want an in-person reference. I have used Greg with Arvada Roofing and Weatherproofing at least 3 times in the last 20 years. He replaced the roof on my residence as well as 2 or my rental properties. His employees are always prompt, and clean up the jobsite, when they are finished. I would not hesitate to recommend Greg and his crew. Their work is flawless. 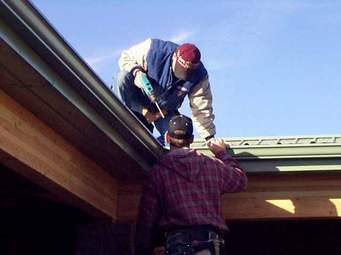 I have used Arvada Roofing for 10 years now on various projects and they have always done a top-level job. They know what products to use and install them correctly. I have had them do tile roofs, shingle roofs, and flat roofs and they have always done a very clean and tight job. Never any leaks or problems. They are always my go-to roofing company in Denver.